The girls behind the counter were helpful and selection of baked items was great. Like the macaroons, the puff pastry was dry, stale and the cupcakes nothing special just average. 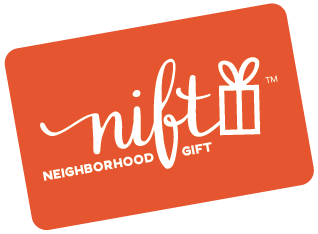 Delicious treat and easy checkout with the NIFT Gift card. Very patient as we picked out our selections. Can’t wait to try the cookies. Thank you !!!! The pastries were all delicious and very reasonably priced. Everything we got today was amazing - the lemon bar was perfect. We did ask for a cannoli and both ourselves and the lovely woman who was helping us forgot to package it though, so we were one item short. Awesome and the staff was great! The staff was friendly & helpful. They helped me choose what would keep up well (almond & walnut cookies and biscotti) for an out of state trip. Everyone who tried the baked goods loved them! Nice array of treats and great amount for the price! $10 covered so much food! im so excited! Fantastic selection on many pastries and cookies. The owner was very nice and the Chocolate Mousse Torte I bought was DELICIOUS!!! Everything else looked amazing, too! I have been trying to find a bakery that makes a good cupcake for months, I have finally found the place! Their mini-pastries are the best. And the owner Anita was so friendly and helpful. Mirabella's was great and made it so easy to use the gift card! Although they weren’t sure how to redeem the nift gift card, they took the time to ensure the order worked. I would happy come back as they were extremely helpful and had plenty of things to try!